Definition at line 2401 of file CCopasiXMLParser.h. Definition at line 2409 of file CCopasiXMLParser.h. Definition at line 8476 of file CCopasiXMLParser.cpp. Definition at line 8484 of file CCopasiXMLParser.cpp. 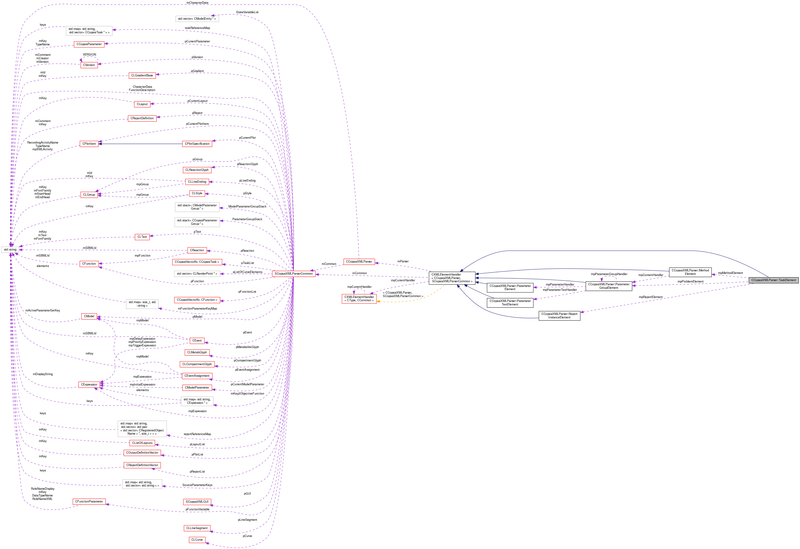 Definition at line 8657 of file CCopasiXMLParser.cpp. References CCopasiParameterGroup::elevateChildren(), CCopasiMessage::EXCEPTION, CCopasiMessage::getLastMessage(), CCopasiTask::getMethod(), CCopasiParameterGroup::getParameter(), CCopasiTask::getProblem(), CCopasiTask::getType(), CCopasiParameter::getValue(), CCopasiXMLParser::mCommon, MCXML, SCopasiXMLParserCommon::mKey2ObjectiveFunction, CExpatTemplate< CExpat >::mParser, CCopasiTask::optimization, SCopasiXMLParserCommon::pCurrentTask, pdelete, CCopasiParameter::Value::pSTRING, CCopasiContainer::remove(), CCopasiParameterGroup::setValue(), START_ELEMENT, and UNKNOWN_ELEMENT. 8682 // only be set after the report definitions have been read. Definition at line 8491 of file CCopasiXMLParser.cpp. 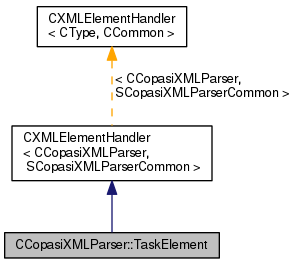 References CCopasiParameterGroup::assertParameter(), CCopasiTask::crosssection, CCopasiMessage::EXCEPTION, CCopasiTask::fluxMode, CCopasiTask::getProblem(), CCopasiTask::lna, CCopasiTask::lyap, CCopasiTask::mca, CCopasiXMLParser::mCommon, MCXML, CCopasiTask::moieties, CExpatTemplate< CExpat >::mParser, CCopasiTask::optimization, CCopasiTask::parameterFitting, SCopasiXMLParserCommon::pCurrentTask, SCopasiXMLParserCommon::pModel, SCopasiXMLParserCommon::pTaskList, CCopasiMessage::RAW, CCopasiTask::scan, CCopasiTask::sens, CCopasiProblem::setModel(), CCopasiTask::setScheduled(), CCopasiTask::setUpdateModel(), CCopasiTask::steadyState, CCopasiParameter::STRING, CCopasiTask::timeCourse, toEnum(), CCopasiTask::tssAnalysis, UNKNOWN_ELEMENT, CCopasiTask::unset, and CCopasiTask::XMLType. Definition at line 2419 of file CCopasiXMLParser.h. Definition at line 2418 of file CCopasiXMLParser.h. Definition at line 2417 of file CCopasiXMLParser.h.